Imagine being able to access — and help build — a database of what to plant in your exact location, including what works for you right now? Add to this great growing advice, advice embedded in ecosystem and soil knowledge, as well as a real and tangible contribution to climate science and environmental monitoring. What you have is the new — and free — GROW Observatory app! This free app is available to download for android or iPhone — links below. Low-cost technologies can help growers make informed decisions about their practices. Smartphone apps have mushroomed in recent years with all sorts of apps for numerous areas in life — including food production. There are apps to help us find local food producers, source sustainable food, and more. For food growing, there are sophisticated apps that help manage hydroponic systems and allow the user to control climate variables and light cycles, automatically giving plants the optimum nutrients, water and environmental conditions to grow. Others offer growers a garden planner and general planting advice. Interested in our work, in particular sensors, environmental monitoring and open data — we have a free short course running right now you can sign up for! 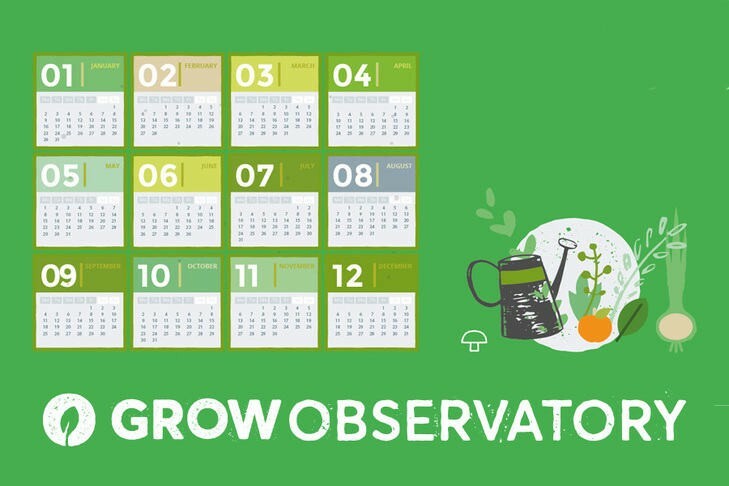 Our GROW Observatory app does three specific, interrelated things. GROW Food: a planting calendar for you — wherever you are. It’s great for edible plant growers all over Europe. You’ll have, at your fingertips, a handy technical guide to up to 180 crops, including sowing and harvesting times, which are tailored to your location. The beauty of this information is that it gets more accurate the more people contribute information for their plants and location. 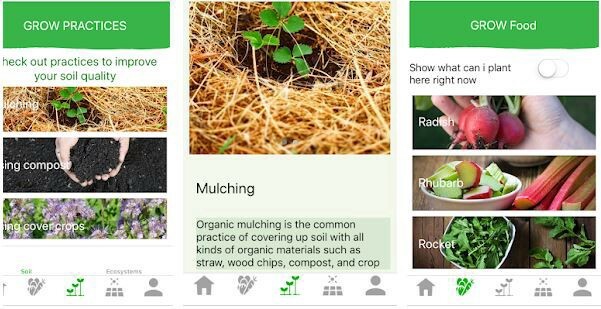 The app connects to our “share my planting calendar” Facebook group, where ever more precise, granular information on sowing and harvesting can be added as the number of contributors and contributions rises. The group itself is already becoming a place to share ideas, advice and suggestions with like-minded growers from all over. GROW Practices: soil and ecosystem information. Best growing practices offers, soil and ecosystem and growing advice. Here we feature science based information on regenerative growing practices to help improve both the soil beneath your feet and the wider ecosystem — and how these are all connected. Practices include using compost; growing polycultures; using cover crops; planting legumes; establishing flower cover, creating flower strips, mulching and promoting wild areas. Each practice is described in detail, including benefits and special considerations to be aware of. 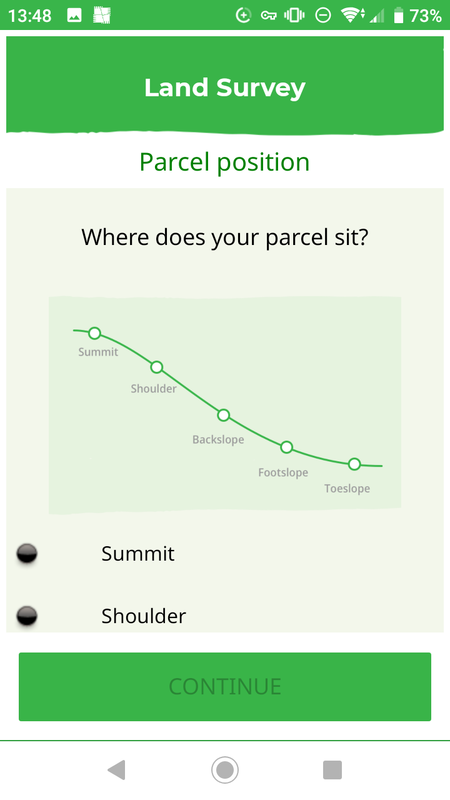 The app also includes examples and hands on tips, if you want to try the practice in your own garden or food growing plot. This is the exciting place where you get to contribute data to scientific efforts at more accurate environmental monitoring in a changing climate. GROW runs special missions, such as the GROW changing climate mission in nine GROW paces. Mission participants can use the app to record in-situ land and soil information that’s linked to specific location and soil moisture sensors. There are land survey and a land management activity sections under GROW Science. Mission participants record information on, for example, land use and land cover as well as topography of sensor sites. They also take pictures in each cardinal direction and of the sensor on the ground. This additional information is essential for properly interpreting the soil moisture data from the census. The Land Survey includes landscape data, while mission participants also perform a soil test, and with the app, record information on soil texture and stone content. This information is again essential for interpreting soil moisture data from the sensors. Recording a Land Management Activity — such as arrogating, fertilising and mulching — is important to document for accuracy of provided information. 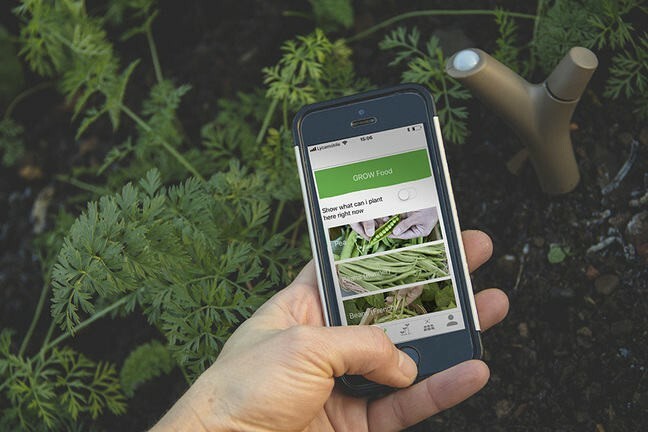 Our app is free to download , is useful for growers, helps science with environmental monitoring in a changing climate, and connects users up to a growing community who are sharing their planting calendars, improving database accuracy with each entry. What’s not to love? Download it for Android or iPhone at the links below. Our first 1500 Soil Sensors Are in the Ground — so What Can we Learn From Them? Food, farming, organics, environment: column @IrishExaminer; Communications arc2020.eu; PhD sociology; UCC's Cntr for Co-op Studies; Views mine RT not support! GROW Food. GROW Soil. GROW Science.